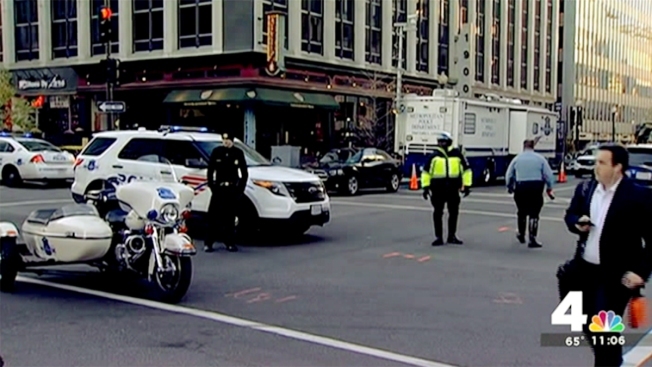 An armed woman who barricaded herself in a building on K Street NW was arrested Monday morning after the incident shut down traffic in downtown D.C. for hours, police say. 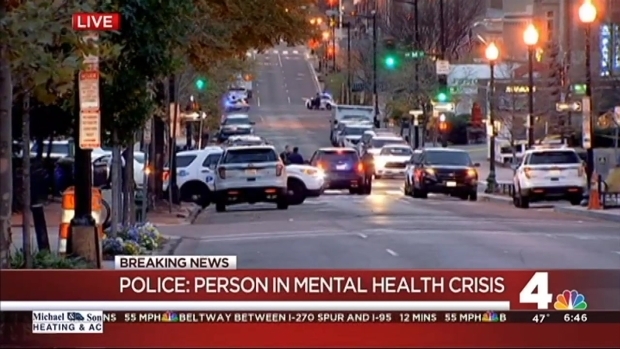 Sophia Dalke, 31, of Springfield, Virginia, was charged with assault on a police officer while armed, after D.C. police said she was believed to be having a mental health crisis. 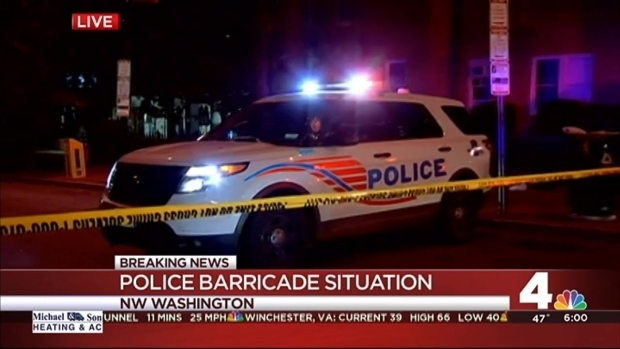 The barricade situation began about 12:20 a.m. Monday, when authorities responded to a call regarding the 1900 block of K Street NW. A gun was fired when officers arrived, prompting them to declare it a barricade situation. No one was injured. Police stressed this was not an active shooter situation. The 1900 and 2000 blocks of K Street NW and the 1000 block of 20th Street NW were closed to pedestrians, and 20th Street NW between I and L streets were closed to vehicles. The closures were in place closed throughout Monday morning's commute, keeping workers away from office buildings and creating heavy traffic outside the perimeter. Drivers and pedestrians were encouraged to avoid the area. Many Metrobuses that normally travel through the area -- including the 30N, 30S, 32, 33, 36, 37, 39 and G8 -- experienced delays of as much as an hour, WMATA said. The H1, L1 and 31 bus routes were delayed up to 45 minutes. Several major downtown streets are closed early Monday for a barricade situation involving a person believed to be having a mental health crisis. Police have shut down I, K, L and M streets NW from 18th through 21st streets NW. Several major downtown streets are closed early Monday during a barricade situation involving a person having a mental health crisis. Police have shut down I, K, L and M streets NW from 18th through 21st streets NW, and those streets could remain closed through the Monday morning rush hour. H1, L1: Due to traffic congestion btwn Connecticut & Florida Av NW and along 20th St NW, buses are experiencing up to 45-minute delays. 30N, 30S, 32, 33, 36, 37, 39, G8: Due to police activity near Farragut Square, buses are experiencing up to 1-hour delay in both directions. 31: Due to traffic congestion on Pennsylvania Ave NW near Washington Cir & M St, buses are experiencing up to 45-minute delays. Barricade: 19th&K Streets(UPDATE)-No injuries reported, was not an active shooter situation. Subject contained, investigation continuing.